Retirement: What Exactly is the Magic Number? Retirement! It’s something that most of us look forward to. A time that we can finally tell our boss to shove it, if we feel like it. Just think about it for a minute. You give your boss ample notice that you’re going to retire, or maybe not. Either way, the big day finally gets here and you’re walking out the door with your personal belongings for the last time. You leave behind all the stress, the headaches, the politics, the 5AM wakeups and the traffic jams. Now you can play golf all you want, go fishing or just stare out the window. Everything is great. Or is it? 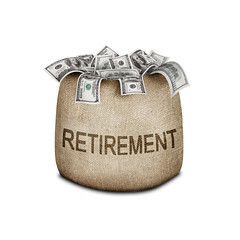 Have you done all the planning necessary for your retirement? In other words, do you have enough money to keep on being retired? Here’s a few things to consider before you take that big step. I read a lot and figure someone needs $2M to really have a good shot at living well and retiring with few worries. Roger your thoughts? The reader also shared that he is 58 with the implication that he is close to retirement age. Another reader left a comment on a Seeking Alpha post of mine agreeing that $2 million is the figure. Between the two comments I feel like I am being asked in part for my personal views and choices. The best generic advice I can give is to live below your means, don’t accumulate debt, save a lot and if you ever do need to fund your expenses/lifestyle out of your savings take no more than 1% per quarter. My use of the word generic is not meant as a slight, I believe the above combo is an essential foundation to a successful financial plan and we live by the first three now (we are a few decades from the withdrawal stage). Assuming the 4% rule, a $2 million portfolio would allow for $80,000 in portfolio withdrawals. Are you then going to assume getting social security or not? How does the $80,000 (plus social security or not) compare with how much you live on now? Not how much you earn but how much you live on. There are several types of expenses that we have to contend with and try to plan for one way or another. I’ve written about these before; things that probably can be easily planned, those that cannot and one-offs–things like vet bills, new tires and home repair. Our recent three foot snow storm lead me to come up with another category which is things we probably will need. At some point I may not be able to shovel out a three foot snow storm. If we want to stay where we are then at some point we will need either a snow blower or an ATV that we put a plow blade on. These are not disastrous expenses but also not $100 to go to a baseball game either. We have a long uphill driveway which probably rules out a snow blower– the cheapest option. A more expensive option would be the ATV and blade and an even more expensive option would be moving. Where we are it would not be wise to rely on being able to hire someone to do this for us. There’s a lot to consider when contemplating retirement. If you haven’t done so yet, now may be a good time to talk to a Financial Planner.